Aaron Hernandez was gay and struggled with his sexuality, according to people close to him. 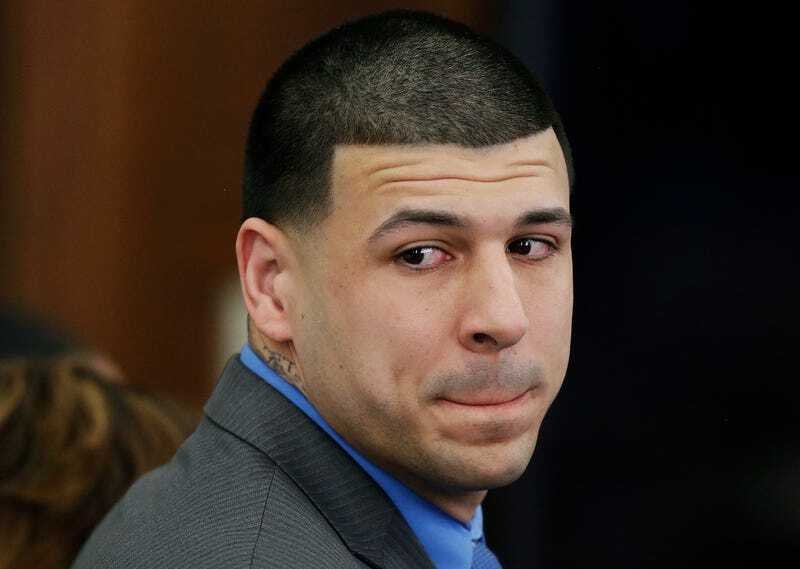 In an Oxygen documentary, Aaron Hernandez Uncovered, his lawyer George Leontire, who is gay and was a member of Hernandez’s defense team, said that Hernandez spoke at length about his sexuality and was conflicted about it. Hernandez’s college girlfriend, Alyssa Anderson, said that he had a relationship with a man while at the University of Florida, but denied it when she asked him about it. He later acknowledged her suspicions, albeit cryptically. Hernandez never spoke about his sexuality publicly. He was engaged to Shayanna Jenkins-Hernandez and they had a daughter together. The former University of Florida standout and New England Patriots star was convicted of killing Odin Lloyd in 2013. According to TMZ, law enforcement officials believed that Hernandez killed Lloyd because he knew about the NFL star’s sexuality. The first part of the Oxygen documentary aired Saturday night. The second episode airs Sunday.